The concept of fitness as competition—not just to stay in shape or train for other sports—is something that has been developing for years now. Look no further than the fast-growing popularity of CrossFit. Not only has its overall numbers grown exponentially over the years, but its premiere annual event, the CrossFit Games, has also seen increasing numbers of participants each year. And those numbers are staggering. Fewer than 100 turned out to participate in the inaugural Games in 2007, and 118,000 turned out last year, and it’s now a big-money event for the top competitors. So, it’s only natural that competitive fitness is taking the next step with the founding of the National Professional Fitness League. 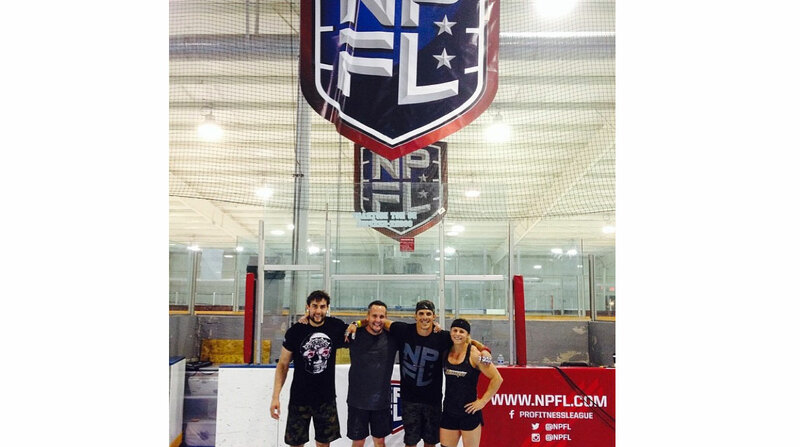 The league is not to be confused with CrossFit, but expect several familiar faces to be involved, from the participating athletes to the operational side of things, starting with league founder and CEO Tony Budding, who was the Head of Media for the CrossFit Games. Franchises have already formed in New York, Philadelphia, Los Angeles, San Francisco, and Phoenix, and more are expected to form as the league expands after its inaugural season, slated to begin in August (an earlier summer or spring start is planned for the 2015 season). Several top athletes have already signed with one franchise or another, but combines have and still are being held in cities throughout the country, which will help teams make selections to round out their rosters. We checked in with David Tao, Head of Media for the NPFL’s New York Rhinos, to get a gauge on how the teams are forming and what to expect from the sport. Some of the basics to expect from watching this fan-friendly, spectator sport: head-to-head team matchups with eight athletes per team in two-hour/10-event matches that include four men and four women per squad. One man and one woman per team must be at least 40 years old to round out a team, adding in a master’s element to the co-ed format of matches. The Rhinos have had success in the off-season thus far, picking up top CrossFit athletes such as Annie Thorisdottir (two-time CrossFit Games champ) and Shawn Ramirez (current top-ranked 40-plus-year-old man in CrossFit). As the summer comes along, we look forward to seeing a detailed schedule for the season, complete with playoffs in the fall.